The following are some of our favorite merchants in the area. If you’re traveling to visit us, we hope their businesses will contribute to making your trip to see us a great time. Our favorite local restaurant. 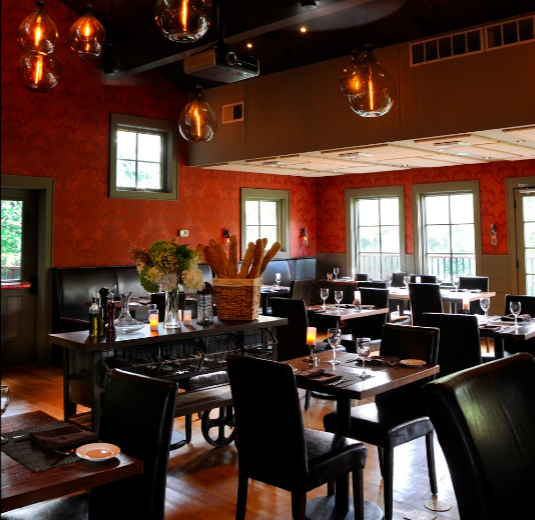 Hidden in nearby Milton, Henry’s at the Farm offers delicious farm to table breakfast, lunch, and dinner. Ingredients are beautifully plated and sourced from their own farm and nearby Hudson farms. Henry’s is located at Buttermilk Falls Inn + Spa, a gorgeous inn, spa, and wedding venue. Buttermilk Falls also maintains an animal rescue sanctuary featuring, llamas, and peacocks — among other animals! A Victorian castle resort that is a National Historic Landmark nestled in the Hudson Valley, surrounded by 40,000 acres of pristine forest. Mohonk offers concerts, farm-to-table cuisine, and an award-winning spa. During the winter they have cross-country skiing and snowshoe trails as well as an ice skating pavilion. A great place to stay if you want to make a weekend out of your trip (or to bring non-shooting family members along for the day). This unique contemporary art museum (with a sister gallery in NYC) displays the Dia Art Foundation's collection of art from the 1960s to the present. Their presentation of art uses a lot of space (you’ll see just a handful of exhibits) and makes great use of the building’s natural lighting and raw presentation (basement, brick walls, etc). They also have a bookshop and cafe with light fare for lunches. They’re about 40 minutes south of us, and across the river. A family run, German restaurant established in 1955. A great spot to unwind after a long day and eat a hearty meal. Walk, or bring your bike or roller blades to cross the bridge, while you take in the panoramic view of the Hudson River and its scenic valley. We recommend going an hour before sunset if it’s not too cloudy. Pack your gear and head to the Gunks, one of America’s premier rock climbing sites. The rock is solid quartz conglomerate with horizontal cracks (instead of vertical!). This park has mainly one- to three-pitch climbs of all levels of difficulty. If you’re not a hobbyist (or expert) rock climber, Alpine Endeavors runs group clinics and offers private guiding. Make a day trip of it or stay for a weekend. Rocking Horse Ranch offers 4 seasons of activities for families with kids. Some include bungee jumping, horse back riding, mini golf, entertainment including magicians, bonfire singalongs, comedians and jugglers, plenty of snowy activities during the winter, and a year round indoor pool and water park. Part restaurant part billiards room, Bacchus is a staff favorite known for hearty food, tasty beer and wine, live music, and a neighborly atmosphere. They’re close by in town. Farm stand with hard cider tastings, apple cider donuts, seasonal produce, and other delicious snacks to take home. A fun stop on your way home that is right down the road from us. Barn Pavilion serving wood-fired pizza and burgers, cheese plates, cider, and beer. Occasionally: live music and pig roasts. All overlooking their apple orchard and pond. A great place to eat and relax.